Britain's wildlife under threat. Inset: The head of the last wolf to be killed in Scotland. 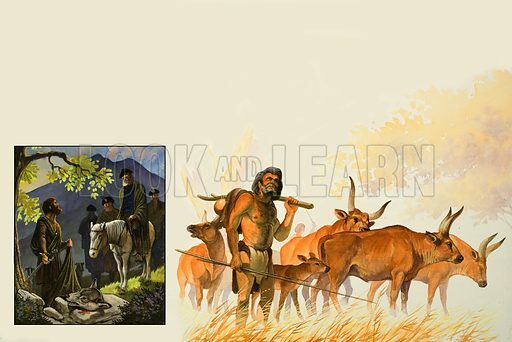 Main picture: Gone forever are the original wild cattle, the aurochs, which roamed the forests of Britain until our primitive ancestors domesticated them. Original artwork for the illustrations on pp8-9 of L&L no.968 (27 September 1980). Available worldwide for immediate download up to 4,895 x 3,269 pixels.